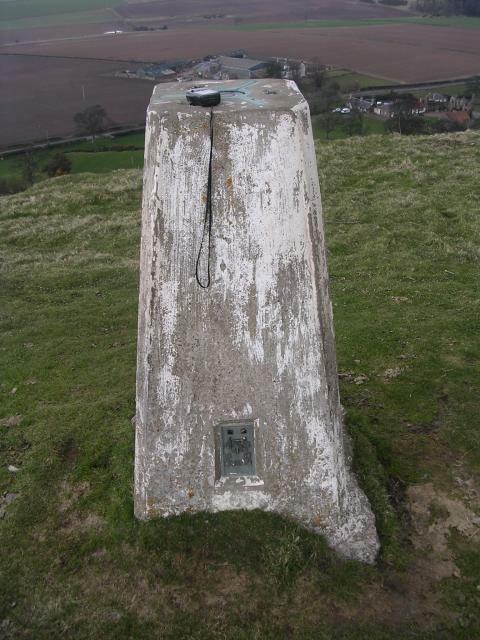 There are 33 photos for this trigpoint (view album). 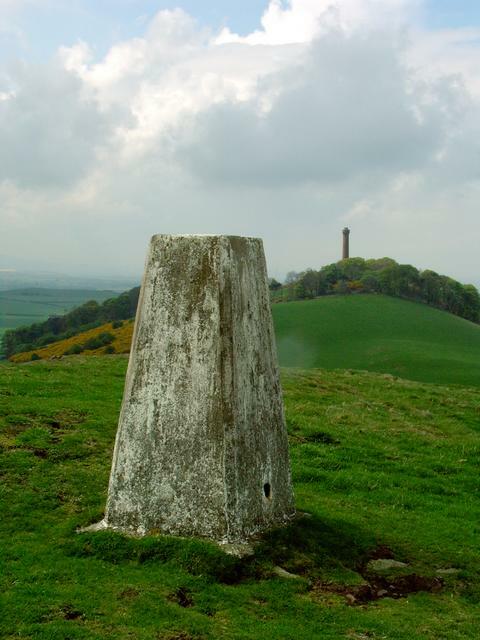 Is ranked joint 538th with 11 other trigs (more). See 27 more in the album. Parking as per Jonglew. Scary fall into quarry if you as ascend straight up hillside and through fence. Skirt round fence outside, bit steep and sloping. Pillar on broad grassy summit. Extensive views. Cattle in field so had to be careful with bagging collie who dislikes cattle. 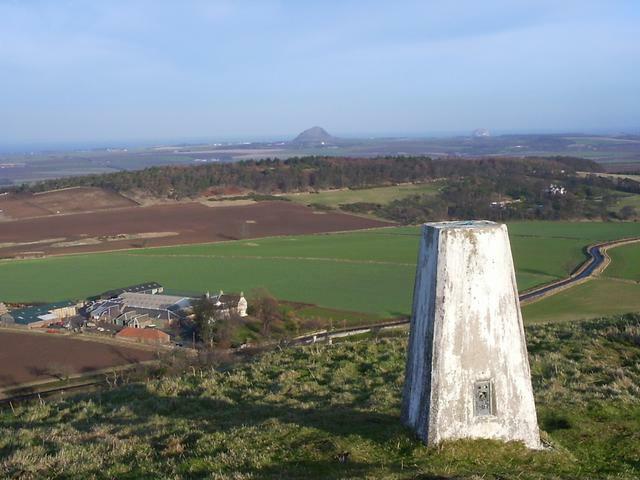 Approach from Hopetoun Monument. Dull day with limited views - could just make out 'The Bass'. 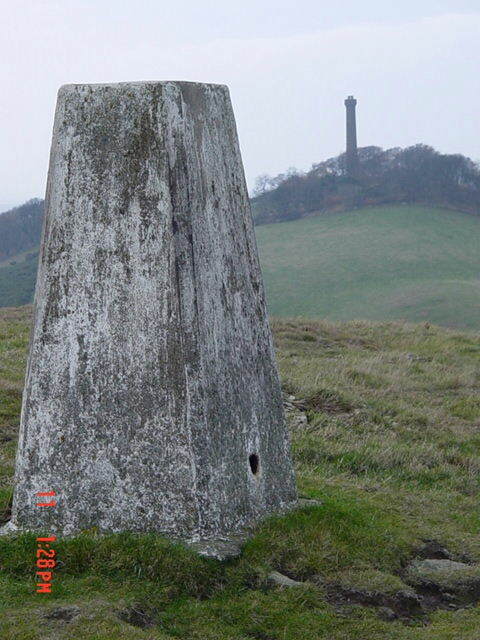 Final pillar of my busiest trig bagging day in a good long while. Thanks Jon for letting me tag along for it. 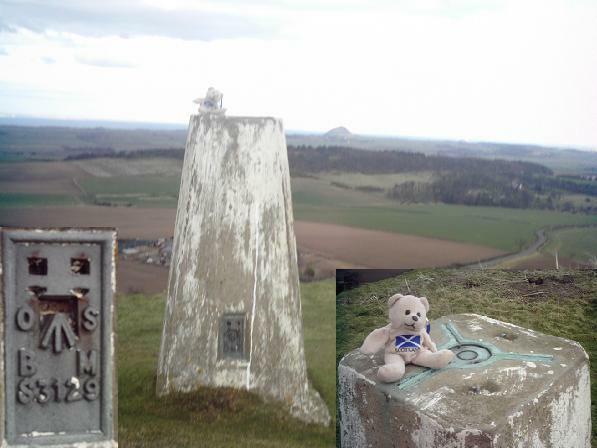 This was our first ever Trigpoint! 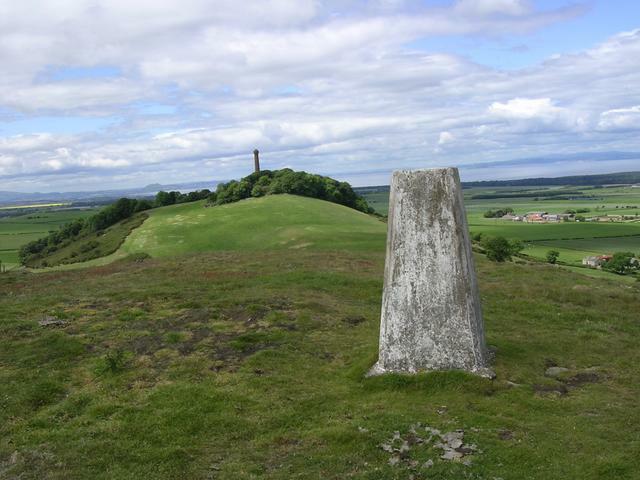 Went looking for it and came upon Hopetoun monument which we climbed up and enjoyed beautiful views. 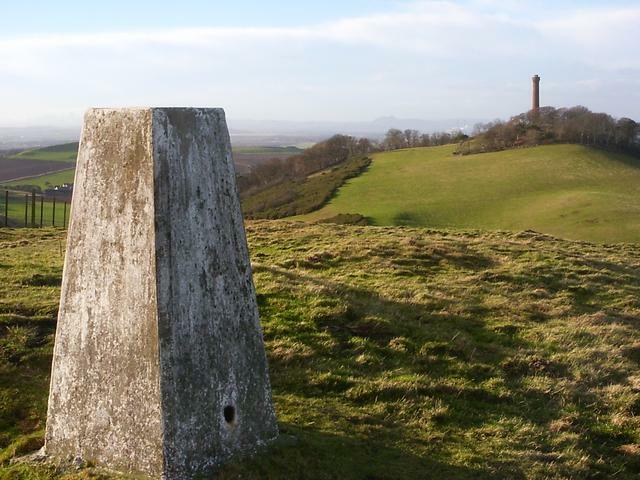 We managed to spot the trig from the monument so climbed back down and raced to car. 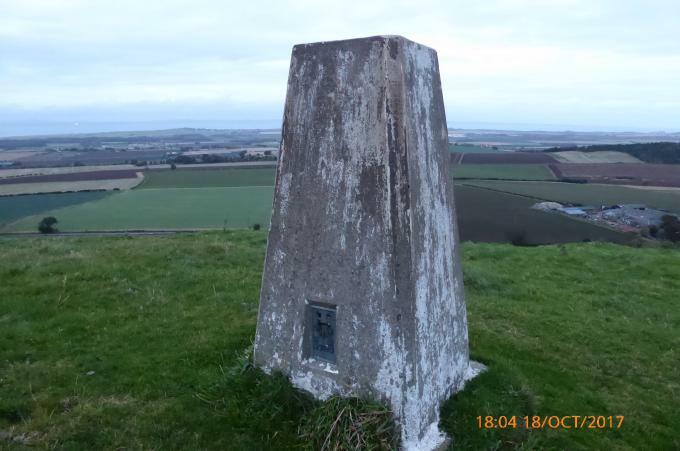 Drove round the road from hopetoun monument car park and then parked car on grass verge near the quarry and climbed over farm gate and went up a steep hill to the trig. Absolutely amazing views! 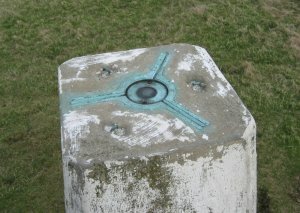 Pleased to have found our first trig! 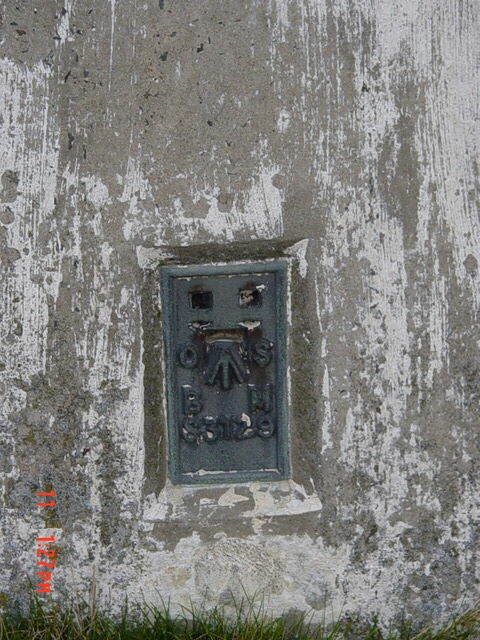 Good condition pillar atop a prominent hill. Pillar stands around 10m away from the disused quarry edge. Approached from the old quarry entrance to the east along the track which loops round the quarry and up. Excellent and expansive views from the top. FB faces south-ish with north-ish sighthole open only. Cap present with sunken lettering. Went up from old quarry track. Steep slopes round quarry rim onto the top. Great views today. Crystal clear. Parked at the former quarry entrance and quick 10 minute walk to the pillar. Terrific April weather. 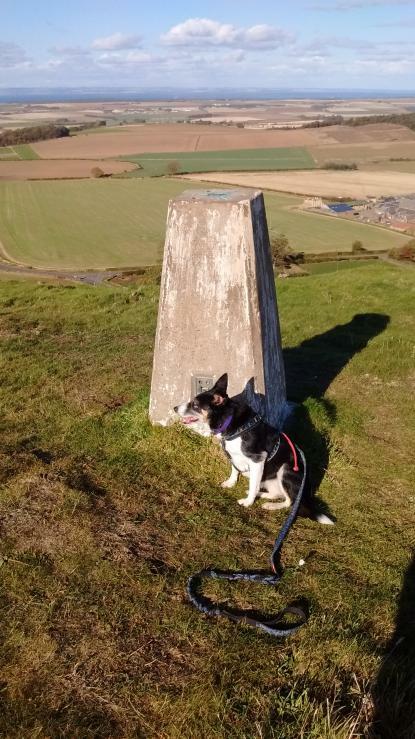 A short walk from the road to the east but walk round the quarry and approach trig from the west. 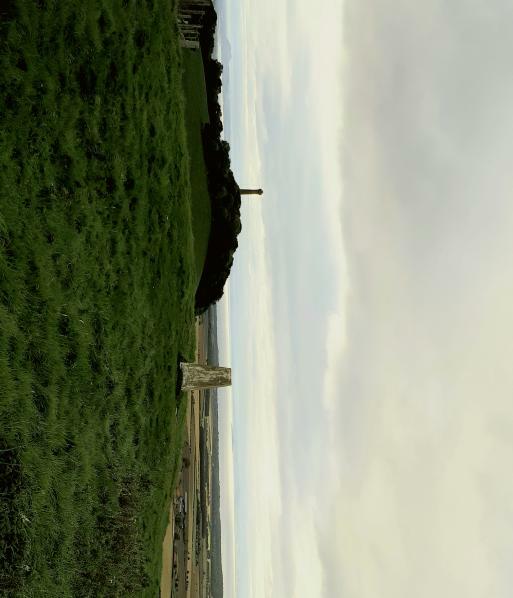 Then off to bag Hopetoun Monument. 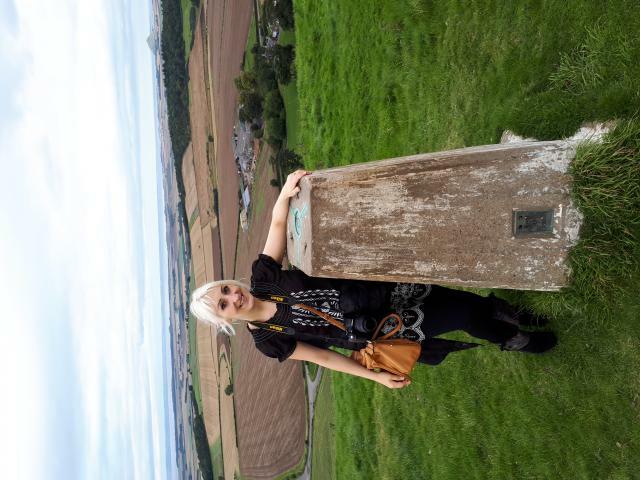 Walked across from Hopetoun Monument. Pillars 10m from old quarry edge, which is no longer active. Walked up track from road ,going past the old building and up the round the quarry to the west. Great views. 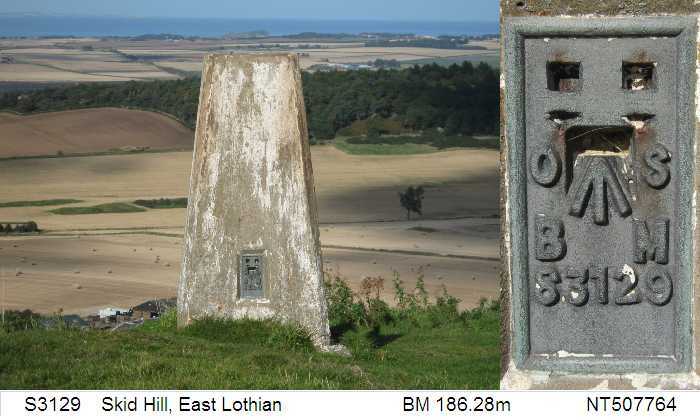 From east, fantastic sunny day and views. Fourth visit here. Superb views again. 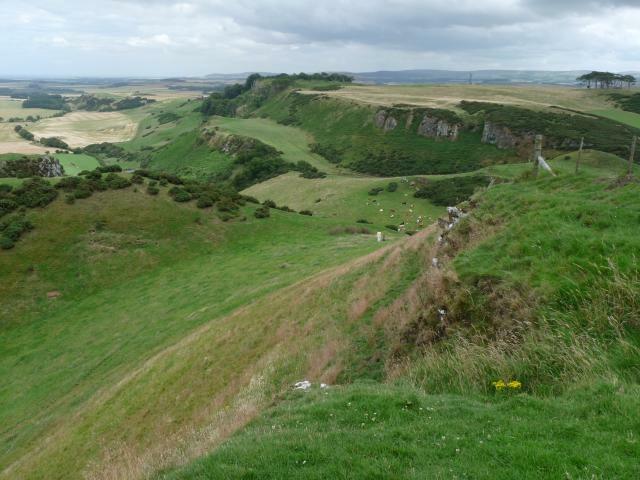 Walked up from road on eastern side around quarry on southern side but returned on northern side of quarry. Pasture land. Parking by track to east. It's enjoyable to follow the quarry rim anticlockwise, but keep your wits about you, it's a long way down. Third time visit. For updated photographs and GPS reading. SITE VISIT: Pillar in good condition. 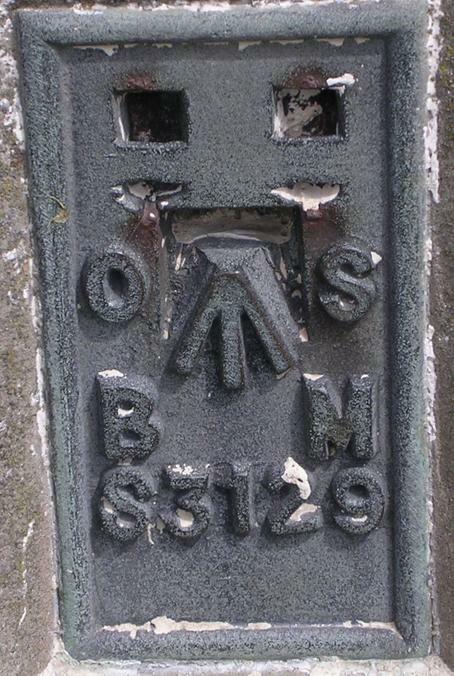 Spider retains OS centre cap with shallow engraved letters. Flush bracket faces SSW, ~205�. Vented through NE sight hole. 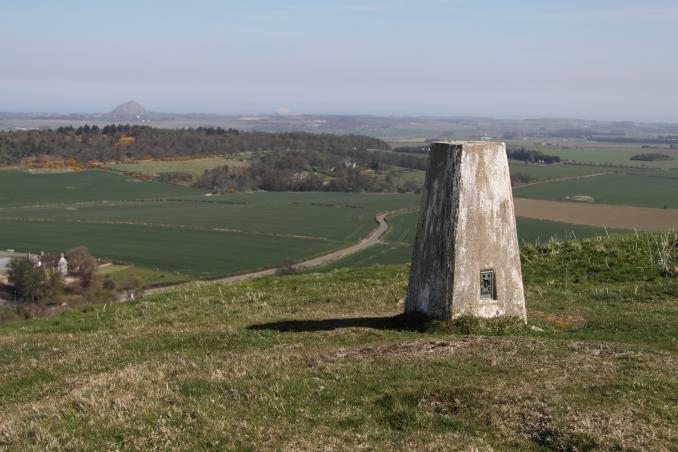 Classic East Lothian panorama from here. 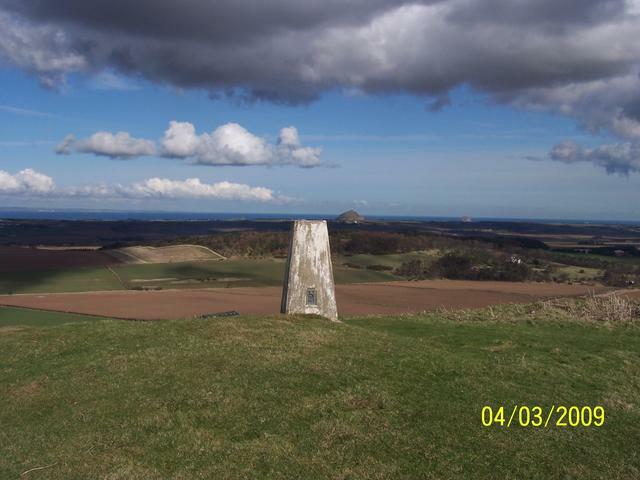 Views include North Berwick Law, Doon Hill, Cocklaw Hill, Lammer Law, Blackhope Scar, Dundreich, Scald Law, Allermuir Hill, Braid Hills, Blackford Hill, Wester Craiglockhart Hill, Arthurs Seat, Orrock Hill, West Lomond, East Lomond, Largo Law. 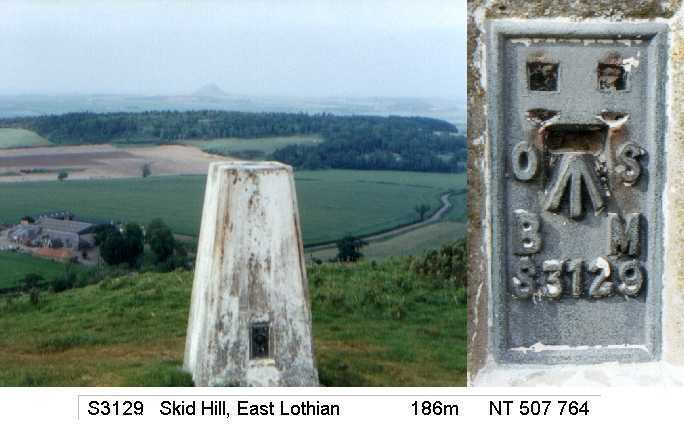 S3129 - Skid Hill with North Berwick Law and the Bass Rock. Enforced visit whilst waiting for the AA to attend my van.Luckily this beauty was here to pass an hour.What a great wee hill..! 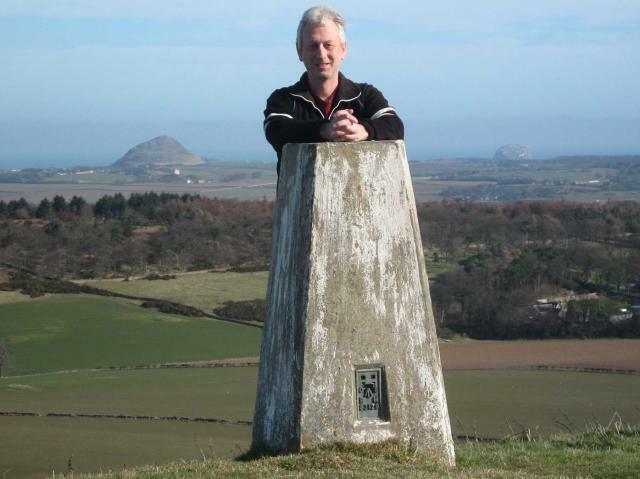 Walked up pasy quarry.Pillar perched on edge of same.Excellent views to North Berwick Law and Bass Rock. 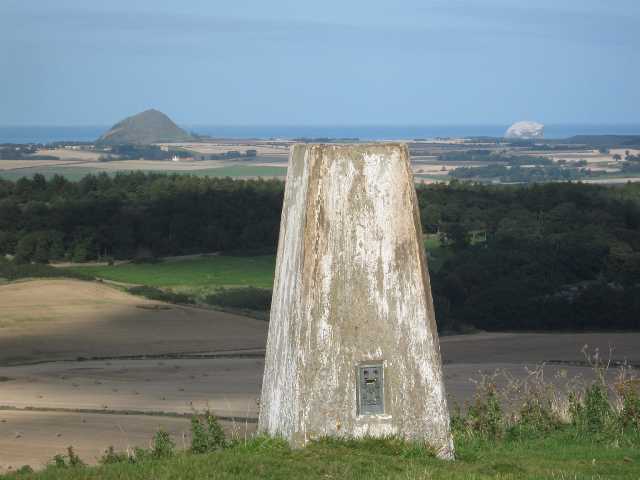 Cracking view to North Berwick Law and Bass Rock beyond... almost gobbled by quarry, with only NorthEast sight open. 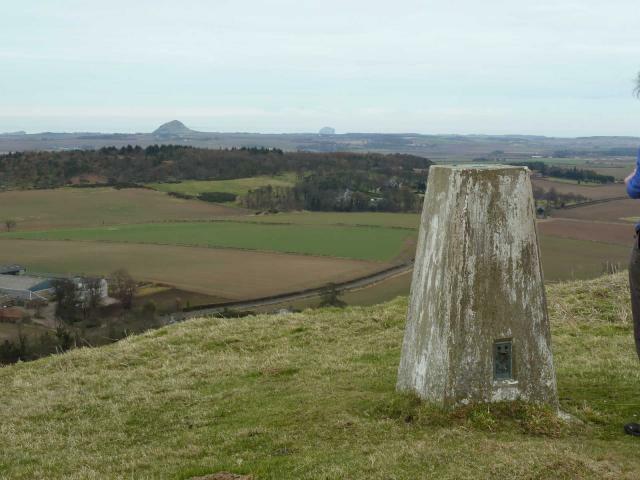 Skid Hill ..with North Berwick Law way in the background. vgc, metal cap, shallow letters. Just N of dis quarry edge, fine summit & view. Bagged on election day en route to Northumberland to vote. 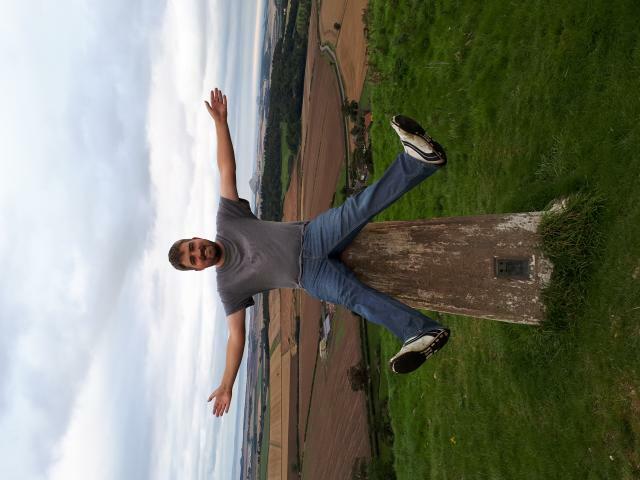 Perched on the lip of a disused quarry but with excellent views past the Hopetoun monument across the Firth of Forth. 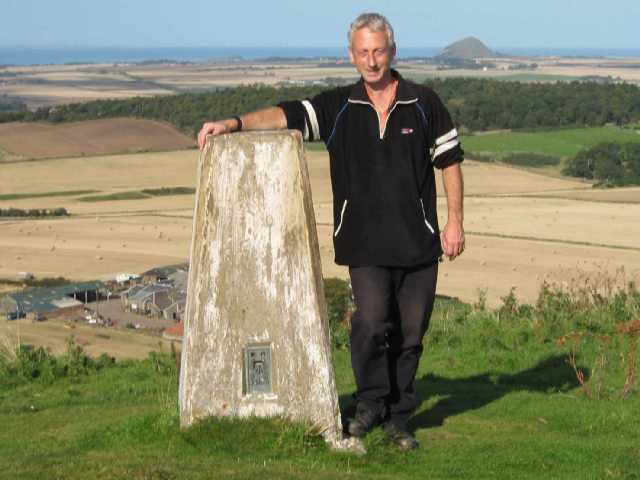 Went up to visit the Hopetoun monument first, then cut across the hill to the trig. Not a route I'd recommend - too many fences. 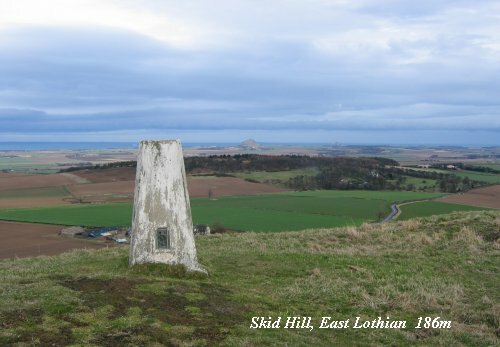 Skid Hill - S3129 The pillar, with the Hopetoun monument in the background. Skid Hill - S3129 The flush bracket. Easy stroll round the quarry edge but the wind making my eyes water. Loads of crags but no good climbing.....dammit! 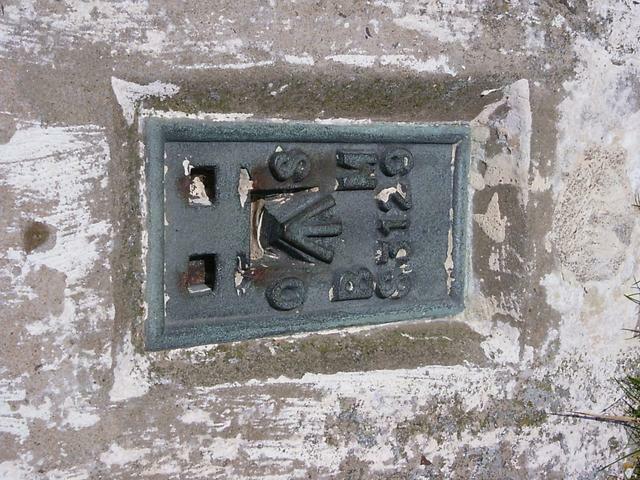 The pillar is a bit stained but other wise in decent condition. 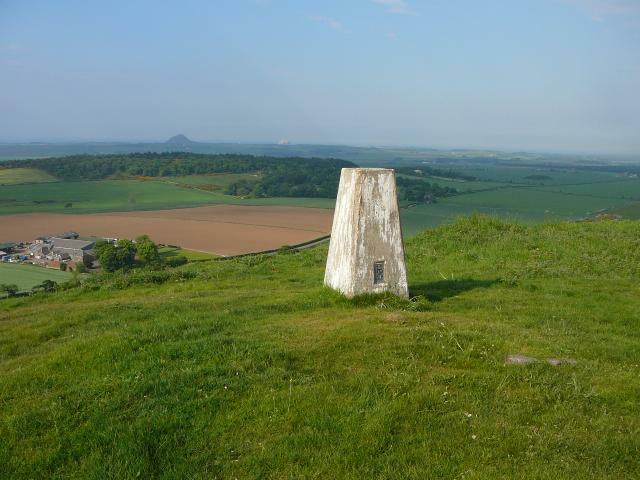 The highest point of the Gareleton Hills, another Lothians volcanic outcrop.Like Castle Hill, but this one did not get Edinburgh built upon it, and half of it has been quarried away. Summit is quite precarious, with very fine views. Pillar still white and inatct. 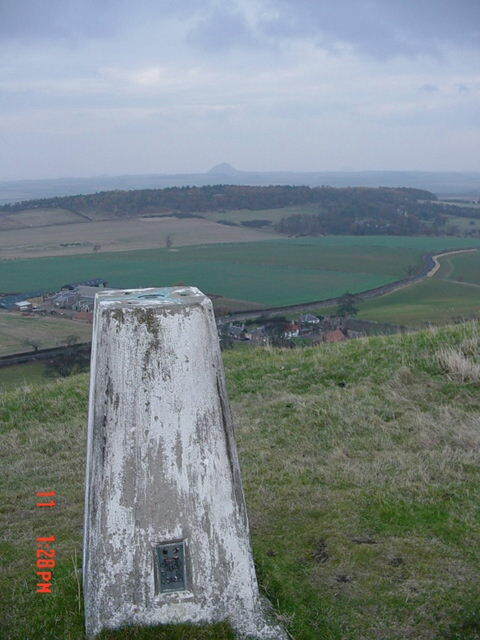 A fine view all around from this trigpoint. In need of a paint job. 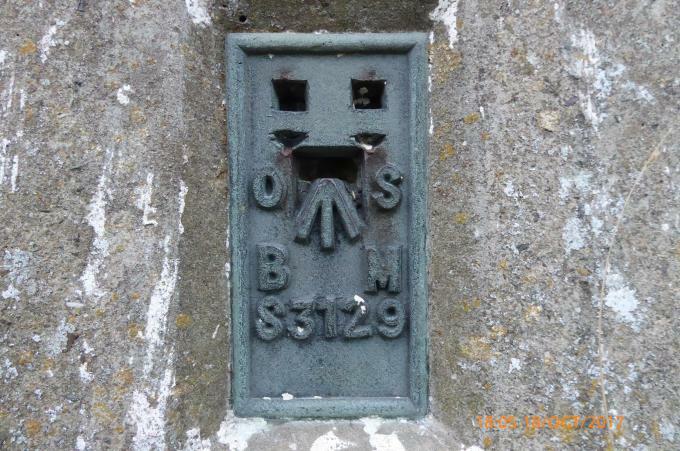 HISTORY: Pillar completed 24th August 1943 costing �5.6s.6d. 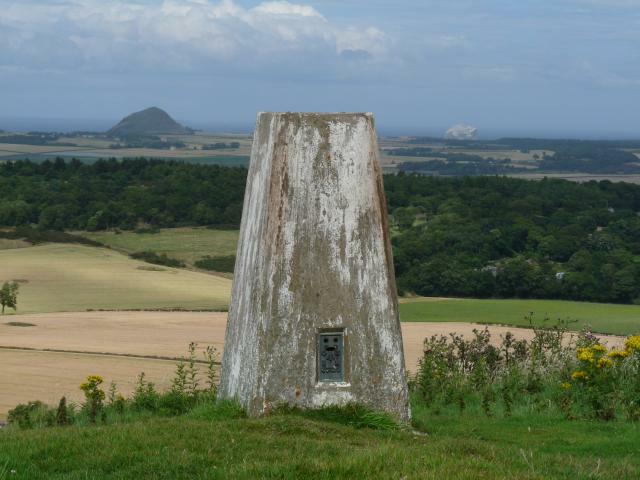 Computed as secondary triangulation station NT48/1 within the Edinburgh block during late 1943. 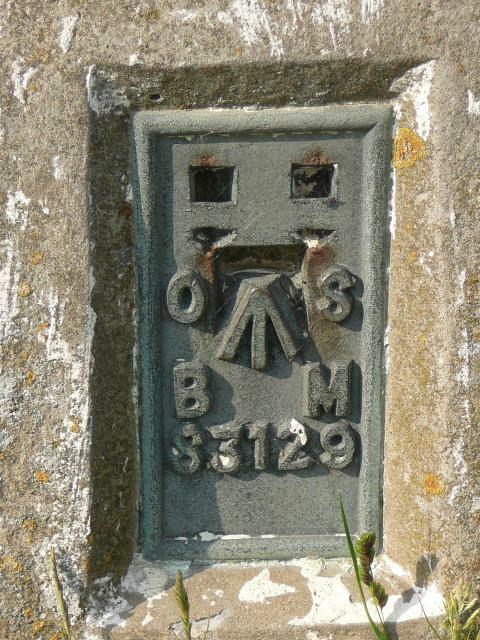 Levelled for height in 1967. 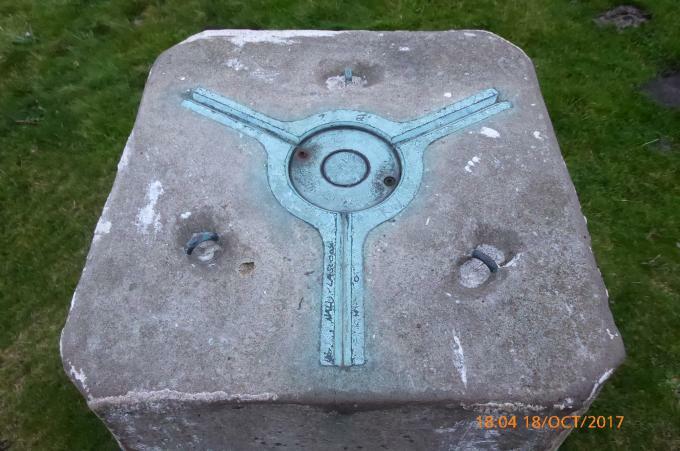 Last maintained by the OS in July 1989. 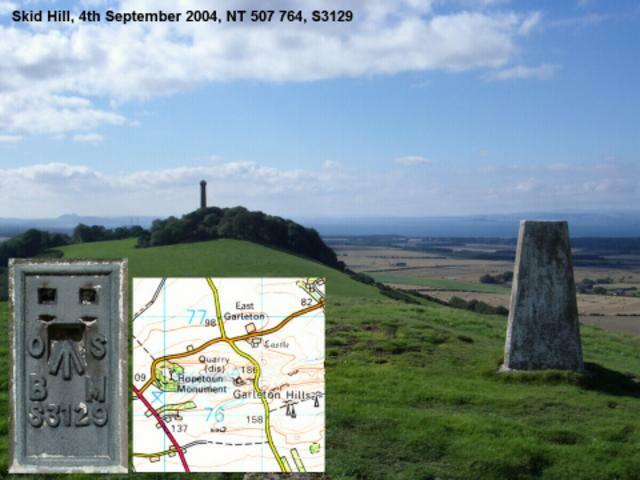 SITE VISIT: Initial visit to record FB, and to see the views from the Garleton Hills and the Hopetoun Monument on neighbouring Byres Hill. No photos taken.